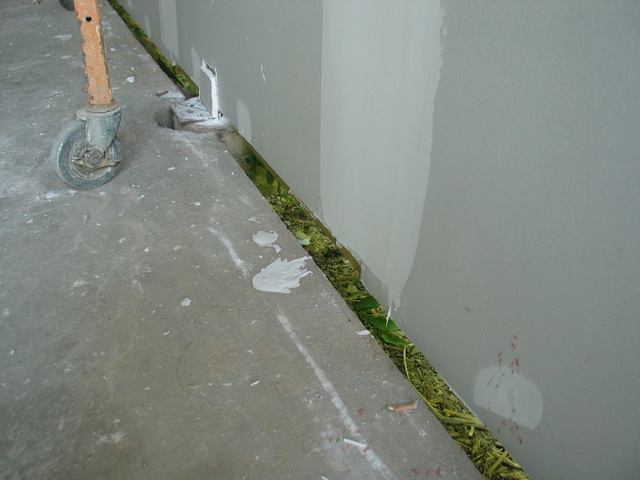 Again as in period 5, period 6 MAPS banding was a two day event, this time due to issues with mist nets. Missed effort was made up on Sunday, June 24. 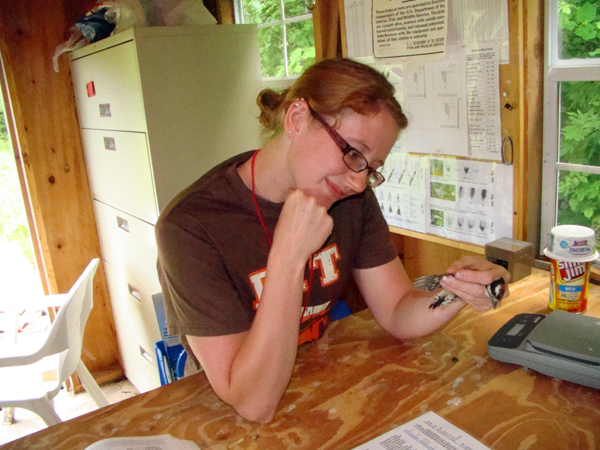 For Saturday, June 23, there were 9 new birds banded and 5 recaps. 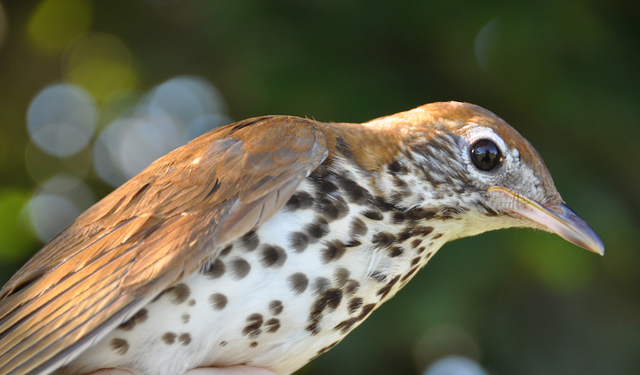 A Wood Thrush was heard in the woods early in the morning and about 2 hours through the session, a male and female Wood Thrush were netted. A Wood Thrush was singing later Saturday evening and also heard on Sunday perhaps indicating that this pair may be staying for a bit. 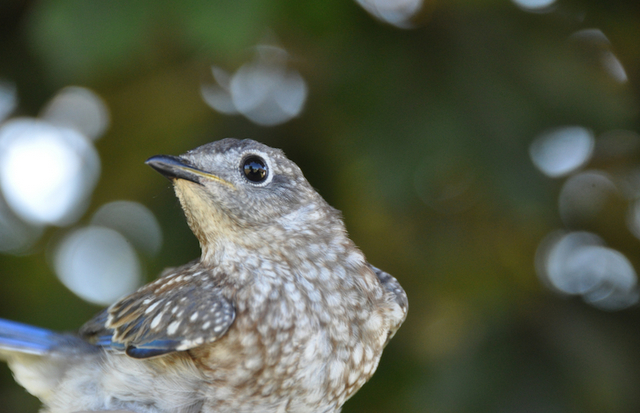 A juvenile Eastern Bluebird (which was banded at the house on May 23) was netted in a meadow net. This and another Bluebird were using the mist net pole as a hunting perch. After banding, these two birds continued to use the poles to perch. 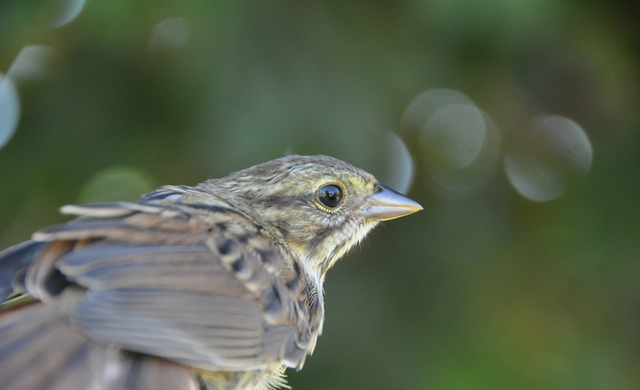 Also encountered and banded was a juvenile Song Sparrow taken from one of the woodland mist nets. This bird had a definite yellow tint to the face. 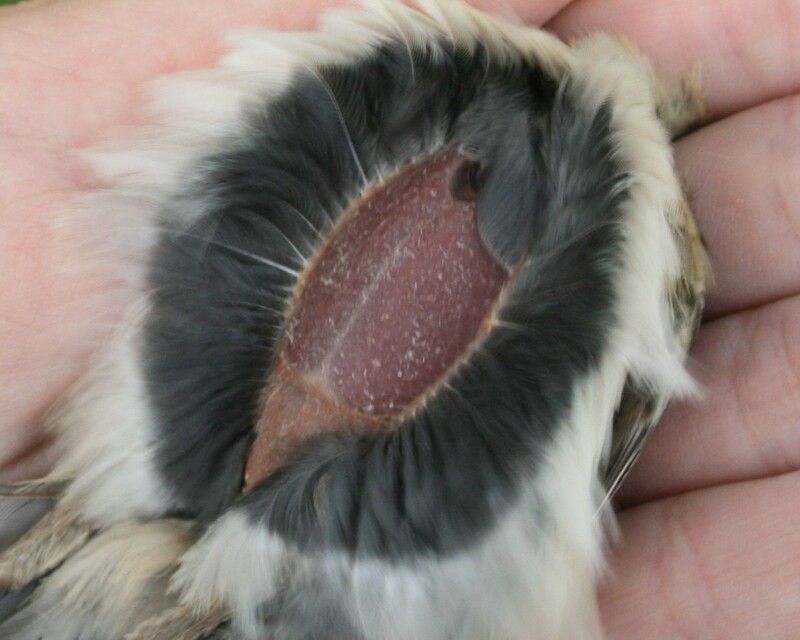 Juvenile Song Sparrows do have heavy streaking on the chest making wing morphology a good diagnostic for species identification. A large male American Robin was netted. This Robin had a dark black head and deep red breast, with a wing chord of 131mm confirmed this was a big Robin! Bobolinks and Eastern Meadowlarks were still heard in the area, with the former staying in unmowed areas of the North and South meadows and the latter moving around to any place which has taller grass. On Sunday, June 24, MAPS was again run to make up for missed effort on Saturday using two nets. 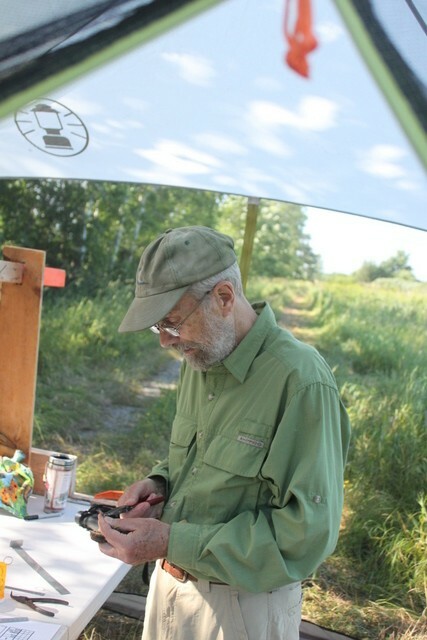 There were five new birds banded and one recap. Calm winds early in the session changed to 5-8mph winds later in the day. A pair of American Robins were banded, as well as a female Red-winged Blackbird. 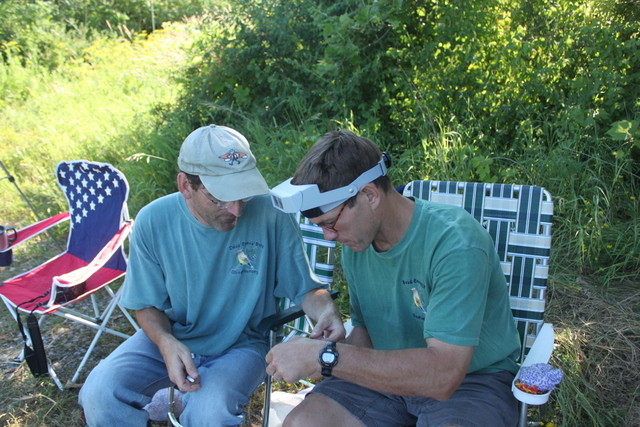 Additionally, the return of a female American Goldfinch banded on July 14 ,2011 was recorded. Two Eastern Meadowlarks were in close proximity to one of the nets early on but moved off as the day progressed. Thank you to Pat for her help on Saturday and helping to get nets bagged the correct way, and to Shelby for helping to setup mist nets on Friday evening and for also helping to bag nets on Saturday. 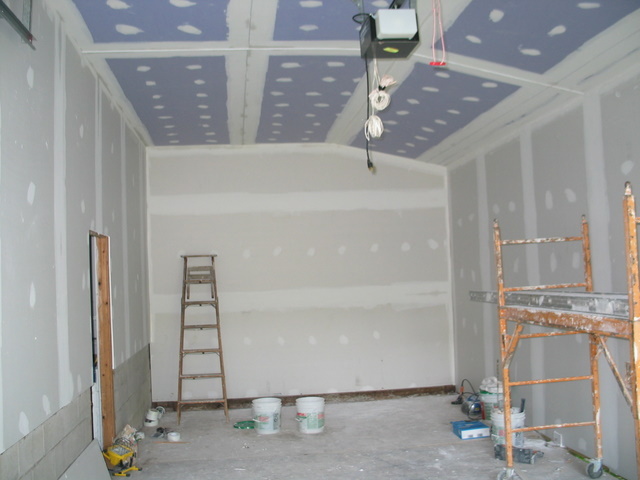 The next scheduled MAPS data is Sunday, July 1, 2012. A major highlight includes an SY American Woodcock (!!) that had been observed in the area before but never captured. I pulled it out of the net myself; I went down towards the front net lanes and saw it almost waddling right beside net 9. I was happy enough to have observed it so I could put it on my list, but when it flew off it went directly into net 9. I could see that it was barely tangled in the bottom trammel so I ran towards it, extracted it, and then brought it back in my hands. Aging it and sexing it turned out to be quite easy with Pyle II, it was a to-the-tee definition bird as far as feather patterning and identification. Other highlights included a female Red-bellied Woodpecker (my very first) and a male Downy Woodpecker (Katie’s very first), both older birds caught on the swamp trail. Another perfect day with partly sunny skies with light winds to start the day. 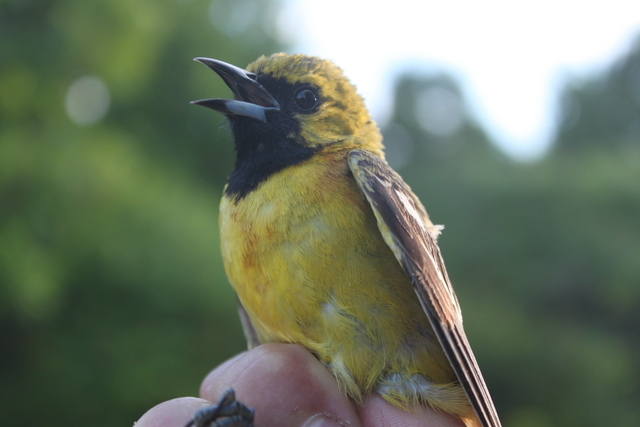 We managed to band a SY male Orchard Oriole and SY male American Redstart which are both nice treats. The hatch-year birds started to pick up with 2 Swamp Sparrows, 1 Downy Woodpecker, and 10 Song Sparrows which was the bird of the day. We had new 33 birds and 18 retraps. Henry does most of our bird watching here at Dead Creek, while Rodney and Warren try to play catch up with Ryan. Becky is our scribe and brings her very good chocolate chip cookies. Ryan feels good that he has a good lead in top banders MAPS 2012. Warren started working on a Habitat Structure Assessment. We are still missing some key banders and helpers in our crew. Claire is still unable to make it with her job at Rocky Dale Gardens. Brendan is on top of Mt Mansfield banding Bicknell’s Thrushes. Lisa and Ethan were missing again after being there the previous period. 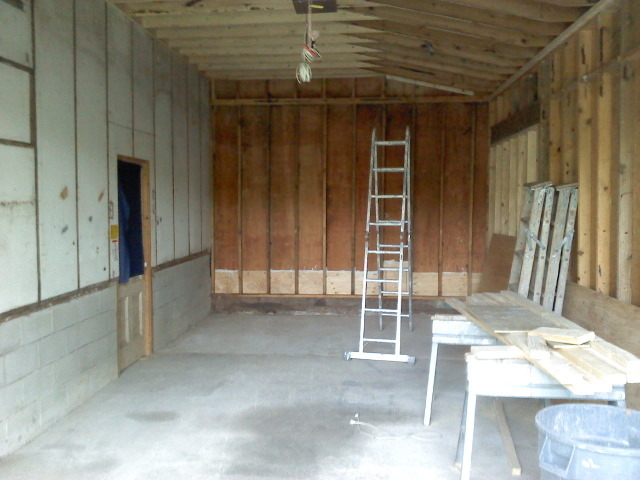 We closed right before it was thundering but lighting was in the sky, but it was off a good distance from us. 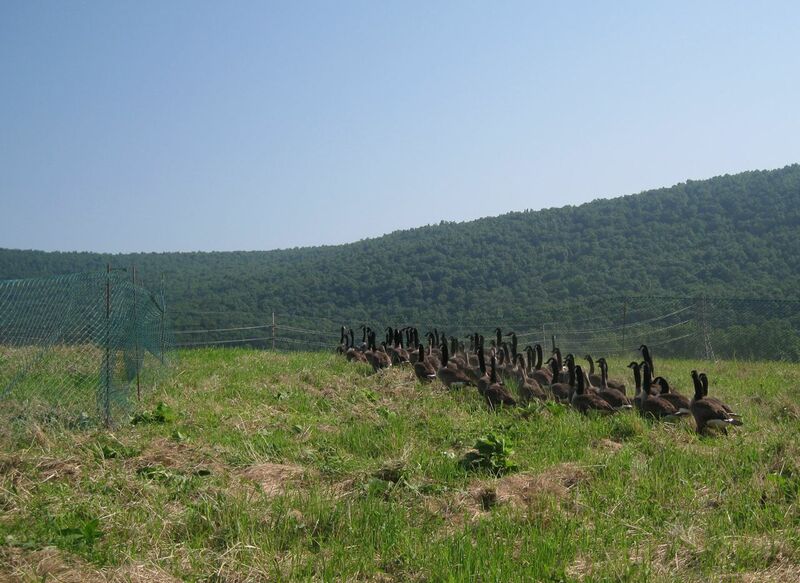 Canada Goose Banding along the Chemung River! 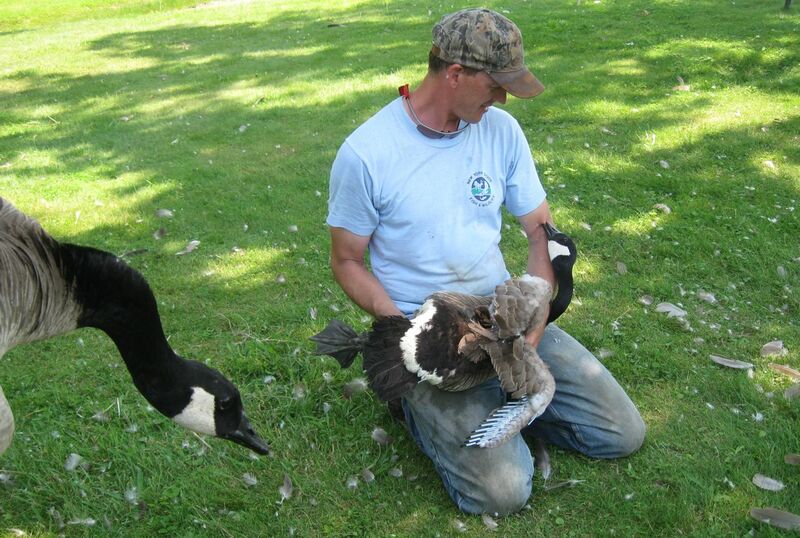 brookser	Summer Banding	Comments Off on Canada Goose Banding along the Chemung River! 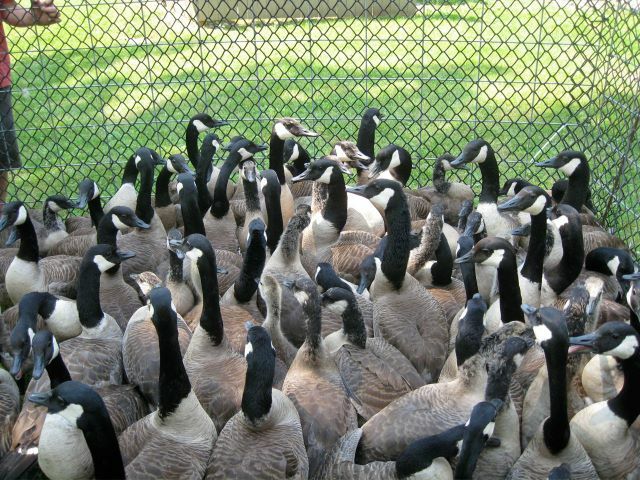 Getting bitten by a goose!